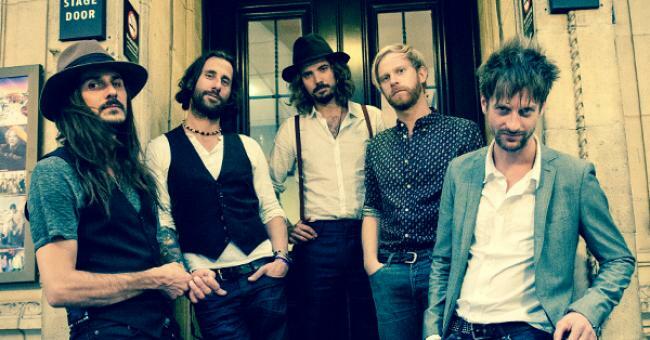 The Temperance Movement have announced a UK tour for January 2016 with one night in the Glasgow Barrowlands. The Temperance Movement have announced a UK tour for early 2016 with one night in the Glasgow Barrowlands on the 20th of January 2016. The tour is in support of their upcoming album ‘White Bear’, the eagerly-anticipated follow up to The Temperance Movement’s 2013 self-titled debut. The tour will kick off in Portsmouth on the 16th of January before heading to Scotland, to Aberdeen and then Glasgow’s Barrowlands on the 20th of January. They will then head back down via Newcastle, Birmingham and Cardiff amongst others before finishing up in London Shepherd’s Bush Empire on the 27th of January. Don’t miss your chance to see The Temperance Movement live in the Glasgow Barrowlands in January 2016. Get your tickets now!